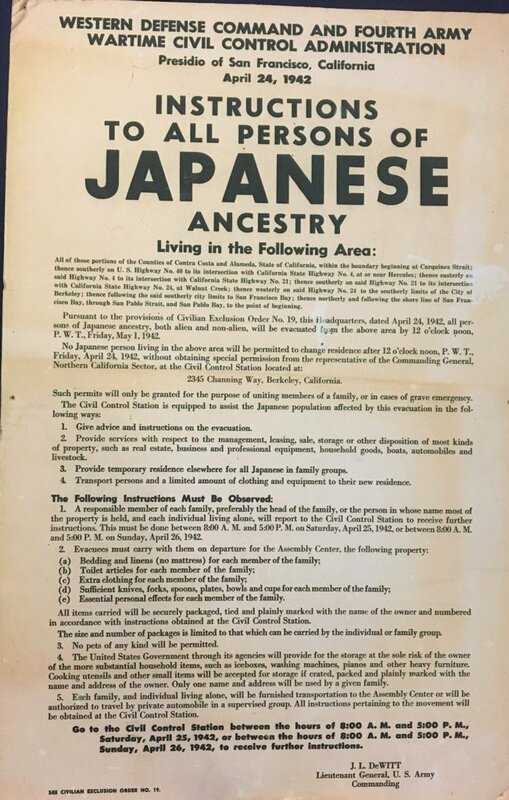 Just like other countries, we’ve hidden our ugliest history in the backs of closets. We wrote phony history books and made sure our kids read them. Now we wonder how come they don’t understand history. We could start by teaching them what actually happened. The good, the bad, and the ugly. Andrew Jackson President of the good old U.S.A. wiped out entire tribes of Natives. But that was only one part of the slaughter. They kidnapped children and beat them until they were “American.” More to the point, too terrified to be anything else. Does that sound familiar in some strange way? Then, of course, there was slavery, over which we fought the bloodiest war ever in this country, followed by a never-ending cruel inequality that still remains and continues — with the help of our disgusting president — to grow. 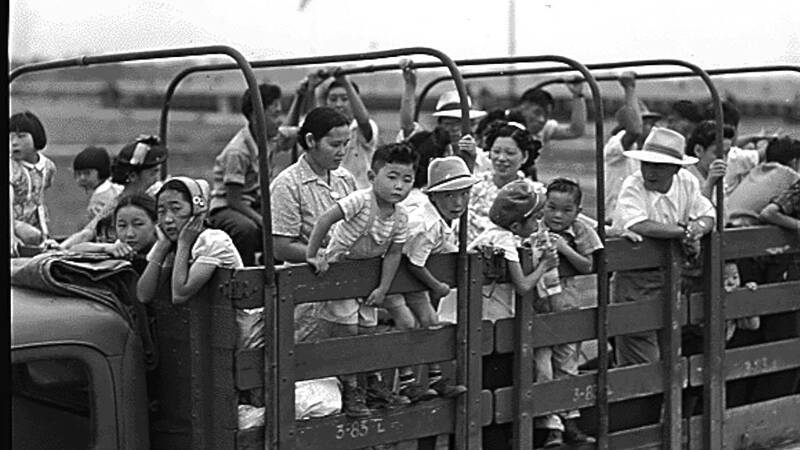 And let’s not forget interning Japanese citizens — many of whom were born here — during World War 2. So yesterday, when it looked like at least 70% of surveyed Americans thought this was a terrible idea, Trump (theoretically), backed off. Note that 30% of Americans didn’t think it was a bad idea. I try not to think about that 30%. I hope they aren’t my neighbors. He didn’t really back off. He said was that we are going to keep the kidnapped, interned kids and do who-knows-what with their parents. They probably didn’t keep proper records about which children belong to which parents. Reuniting the kids and adults may not be possible, especially if they already deported the parents. So what are they going to do with all the kids they’ve locked up? Keep them interned forever? Secretly murder them? Is that entirely out of the question? It’s not like it hasn’t been done before. We’ve always felt we were morally superior to Those Other Countries who slaughtered and mass murdered people for whatever idiotic reason they held. Here we are, doing the same thing. We haven’t started killing them yet, but hey, who knows? Trump is just being Trump, so if he thinks it’s a great idea, I’m sure his sycophants will step right up and follow his orders. You can bet Sean Hannity will be explaining how it’s not even happening anyway. And 28-30% of all Americans will smile because mass murder sounds like a good idea to them. They will volunteer for jobs in “the camps.” A job is a job. With a president who has so little conscience that he thinks kidnapping foreign children is good politics, does killing foreigners if it seems that might help him get reelected sound too far out? If it really might help get him re-elected — assuming he isn’t planning to bypass that whole annoying election process — why not? What are you planning to do about it? Has it come to a point where evil is our inability to do anything about a world spun completely out of our control? This morning, he said (who knows what he is really saying?) we are returning to the old-fashioned method we’ve been using for the past 50 years. We’ll stop refugees at our border and say “Sorry, no room. Go home.” This is what we used to before you-know-who moved to the White House. 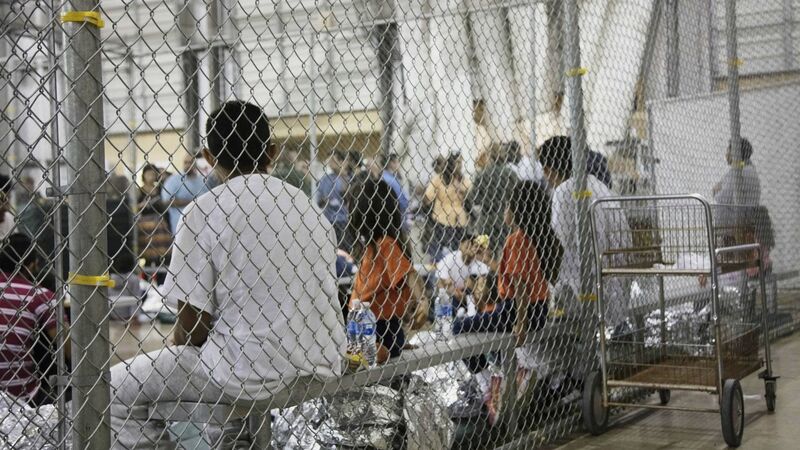 It may not be very nice, especially when you consider how desperately many of these women and children need someplace safe, but it’s nominally better than locking them up and kidnapping their children. Someone — Tom? — asked me why we can’t make room for them. I don’t know. This country is built on the sweat of hungry immigrants, but we’ve lost our way. As long as we have borders, we seem to feel we are obliged to keep track of who comes and goes across them. I’m too far down the line of brilliant thinkers who have turned our world into whatever it currently is, but don’t you wonder ever what would happen if we didn’t have artificial lines around “countries” and lived in a single world? Then we could just hate each other for personal reasons. 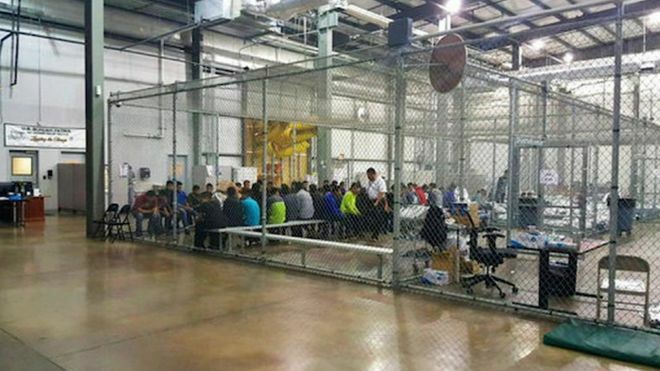 The authorities released this image of illegal migrants inside a large cage – reporters said they saw unaccompanied children in similar conditions. Now that our fiber is indeed being tested, where and how do we stand? Do we refuse to cross that line after our consciences scream NO? Do we refuse, even if we are threatened? At what point is it too much? When is enough really enough for us? I finally became so outraged this afternoon that I sat down and wrote a letter to 2 Senators and a Congressman, something I’ve done only once or twice ever before. I know that it won’t be read — it’s too long — and I will reread it before I send it. I may even send it and a short version. This all flies in the face of everything the country was built upon, and may in itself have destroyed all that ever made America great! I agree. And they WILL read it. They really read those letters. That’s good slmret, they need to hear from the people. They read letters — especially hard copy rather than email. If they don’t read them, the staff does. This is one of the ways they figure out if they are likely to stay in office. Works for me. Good to know hard copy is more effective than email — thanks! It is. Probably because real hard copy mail is so rare these days! I would make full use of that information. I’m a confirmed letter writer…. The congressional staffers who created the indivisible movement suggest 5×7 cards. They get read the fastest and they all get read. GOOD for you, Slmret. Keep it going. EXCELLENT POST, Marilyn! (Imagine the sound of me clapping heartily right now.) You have hit upon an important, but overlooked, fact of American history, which Americans forget as we pat ourselves on the back saying we are “exceptional.” Actually we are a lot more like everyone else than we care to admit. Michael Moore spoke about this same thing the other day, which was circulated on Facebook. People on TV keep saying, “This is not who we are.” Except that, unfortunately, it IS who we are. It is not that there are not good, compassionate people – like you and me – but there were good, compassionate Germans in the 1920s and yet look what happened then. We are not immune. I feel so powerless in the face of all this ugliness that has been given permission in the age of Trump to float to the surface. Yet I am not blind. What can we do? Contact our Congresspersons, attend protest marches, VOTE in November. Yet many people won’t do this – vote, I mean. Because they feel powerless, that their voices don’t matter. How many Americans know about Caligula? He was one of the worst and cruelest leaders of the Roman Empire – and he came to power as the Roman Empire was falling. All empires fall, and right now, our empire is about to fall and people are scared to death. I hope we can get through it without more irrevocable damage. 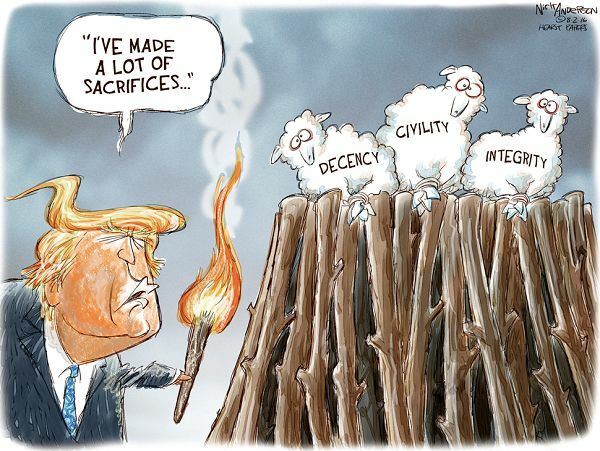 BTW, I love the cartoon of Trump making his “sacrifices.” What would we do without humor? Some sacrifices! But I need a laugh or I get crazy. I don’t think many know about Caligula save the few Lit and History majors and “Masterpiece Theater” fans. Caligula would’ve been in the inner circle of the current White House administration. Here’s a tiny ray of hope: a Republican Congressman from Texas protested what was happening at the border and actually suggested that if we want to prevent these people from coming, perhaps we should do something to HELP THEIR HOME COUNTRIES. People love their home and don’t willingly leave it permanently. I saw this many times when talking to my ESL students’ parents. I also agree with Tom – why can’t we maker room for them, embrace and welcome them? Would it really set a dangerous precedent, as Trump says, encouraging millions more to come? They will come if they are desperate; if they are happy where they are, they will stay put. There are too few. If the Republican party is going to have a future, they need many more. Not so long ago, I didn’t AGREE with the GOP, but I never doubted their Americanism or that they believed in this country. You could talk to them. You could argue. You could be baffled by their opinions — but these guys are nothing like the ones before. These guys apparently don’t care about anything except money and their own greed and power. President Trump, who manufactured this crisis on his own, maintains 90% support among Republican voters according to the latest Gallup poll. The latest I heard, he said he did it for or relating to his “church” which screamed in response, “that is not us, we won’t tolerate this, it’s not who we are.” to which I understand he’s backed down. I’d sure like to know the facts. What he’s done is abhorrent and no less so than the other instances you’ve cited. Each and every one true! We like to have an image of such a pure and morally upright country, but we aren’t. We are better than some, worse (or no better than) others. But “the best”? Not hardly. What am I going to do about this? Stick my head back in the sand of course. Because to ME? There’s NOTHING to be done. To me the corruption and blight (politicians and ‘government’) is so far gone, it’s killed the plant (i.e. Americans with any honor). And I admit freely that I have very mixed emotions about the whole issue. I feel for those children, I really do. I was in their shoes once in a sense, going to foster care is being torn from the bosom of your parents after all. Regardless of why. BUT. The parents are the guilty ones, and they are doubly criminal in my eyes for dragging innocents into their mess. 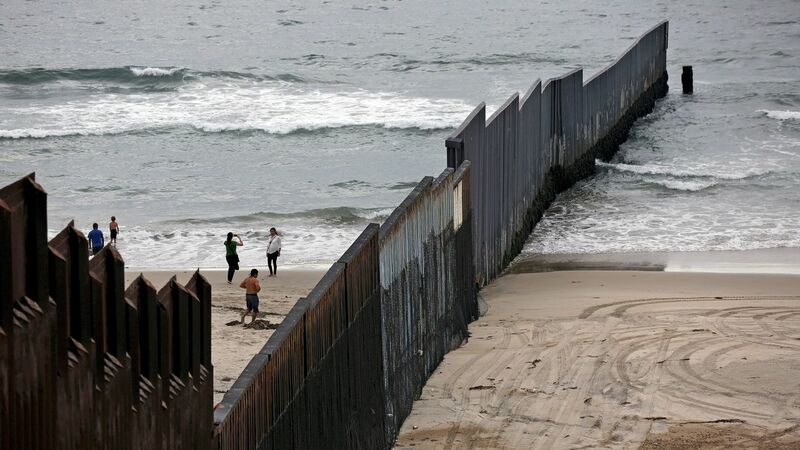 I’ve heard countless stories of how clever people thought they were being, sneaking into America from the south border; how they laughed and joked about beingt illegal here, and felt they ‘got one over on the “man”. How they felt entitled to take resources (welfare, WIC, healthcare, money) from people who honestly earned those benefits. THAT incenses me. And as said above, the rot is so far advanced it would take a lot smarter gal than me to figure out how to solve it. And no I do not condone the actions that idiot with bad hair and a fake tan took. HE’s the worst mistake America ever made IMHO. I don’t think these were clever people. Just desperate. But realistically, they can’t have failed to notice that the U.S. was not giving asylum to anyone. We are no longer in the business of helping other people. Sad for us because that WAS one of our purposes, our STATED purposes on this earth. Otherwise, we’re just one more money-grubbing despoiler of the earth. The level of poverty of these people and the horrors of the trip they had to take makes it very unlikely this was done for any other purpose than attempting to save their own and their children’s lives. Especially when you realize the extremely high percentage of mothers and toddler and babies. So no. I doubt a lot of them, much less most of them, were here to pillage — but surely they got the word that it wasn’t going to happen. Maybe they didn’t believe it. After all, everywhere in the world, the dreamers wanted to come to America. We sure have fixed that problem, eh? Now Americans aren’t sure they want to be Americans. So, I’m confused? The _ uh_ president constantly mentions returning to some era of “greatness”, in which, we are supposed to have distinguished ourselves somehow? When was this.., and what did we do? I’ve tried to find out with little success. So, that being said, what I HAVE been able to determine is that we have/had some “great” ideas.., and we even wrote them down, pretended to make them laws, and blah, blah, yada, yada, yada. Ironically, we then proceeded to use every possible loop-hole to circumvent each one, persecuting those the laws were intended to protect. OK…, NOW I think I get it.., we WERE great, we are/were the “greatest hypocrites” of all time. So, lets detain and confine some folks, separate families, break ALL the treaties with Native Americans, hang decedents of former slaves, allow police to shoot unarmed minorities, reward the rich for just being rich, make healthcare harder to obtain for those with limited funds, cut Medicare and strip Social Security so the poor will remain poor even after serving society, and let’s not forget, treating our returning military like diseased, deranged, individuals not worthy of help readjusting to civilian life. One more thing. If a black man commits a mass murder he’s a criminal to be shot or jailed.., if a white man does the same, he has a problem and needs psychological evaluation and help. YEAH!, I can hardly wait to get back to all that greatness!. 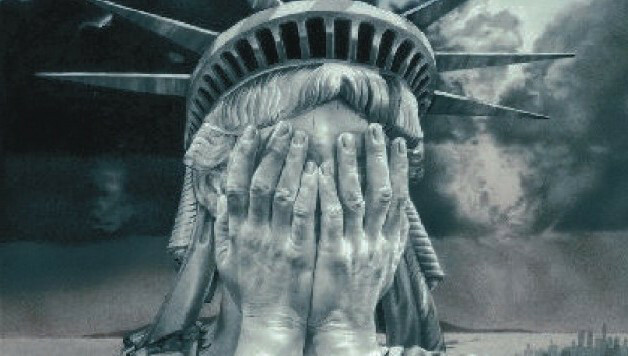 Being American doesn’t feel like much of a badge of honor these days. This whole thing just turns my stomach. What would it take for you to leave all you own and take your family to another country? Let’s not even get into whether it would be legal. What situation would cause you to leave America with what you can carry and go to another nation to live? These people aren’t coming here for no reason. Kenfales, Your question is a good one, one we all need to ponder. Well, I’m sure that many, including myself, have seen this as TOO MUCH and may have contemplated leaving. It’s a natural reaction but it solves nothing except to suggest a temporary personal fix, a band-aid, so to speak. This is MY country, OUR country. The laws and The Constitution give us the means to fight and put this society back on the right track. Removing everything we’ve fought for, for decades, does NOT make us great again. What it does is make us aware of just how fragile our accomplishments are, and what we need to do to make sure they have sustainability for the future. The reason these people have been coming here is for those very things that this administration is, systematically, attempting to take away.